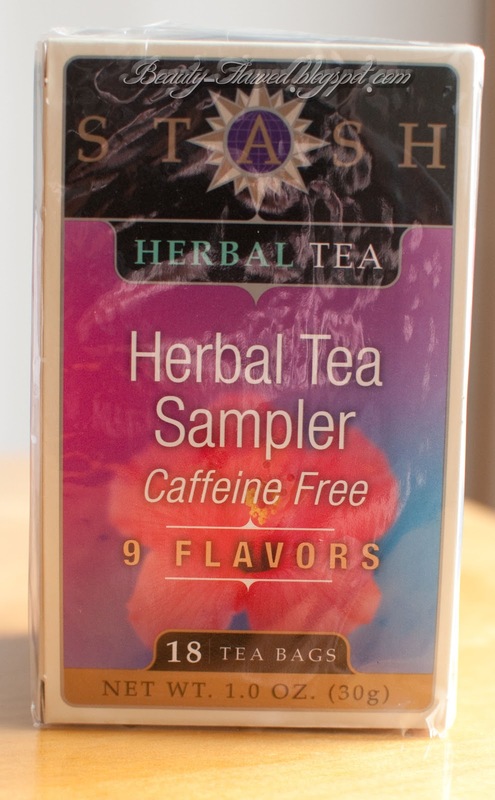 In my Influenster Love Voxbox I received a Stash Herbal Tea Sampler. I love tea so I was really excited to see this included in the box. I usually stick with green and white teas but I'm up for trying any type of tea. Acai berry - I found this to be a bit tart but overall had a smooth berry flavor and scent. Blueberry super fruit - This had a great blueberry punch to it with just a hint of tartness. Chamomile - I didn't like this one at all it reminded me of fresh cut grass and tasted strange. Cinnamon apple - I'm not a big fan of this flavor combination in genral if your an apple fan you might like it but I didn't. Lemon ginger - This one had a really interesting flavor and you could really taste the notes of lemon and ginger working together, it had an aftertaste that wasn't bad and reminded me of ginger ale. Mango passion fruit - The mango really stood out to me in this one it had a great flavor and an even better scent. It was very fragrant coming out of the mug. Peppermint - I enjoyed this peppermint tea even tho it isn't my go to flavor it was a nice change up from what I normally drink and had a soft mint flavor and fragrance. This also had a nice cooling sensation so I think it would be great if your throat was irritated. Wild raspberry hibiscus - This one was by far my favorite I love raspberry anything and this had a true raspberry flavor that had just the right amount of tartness to it. 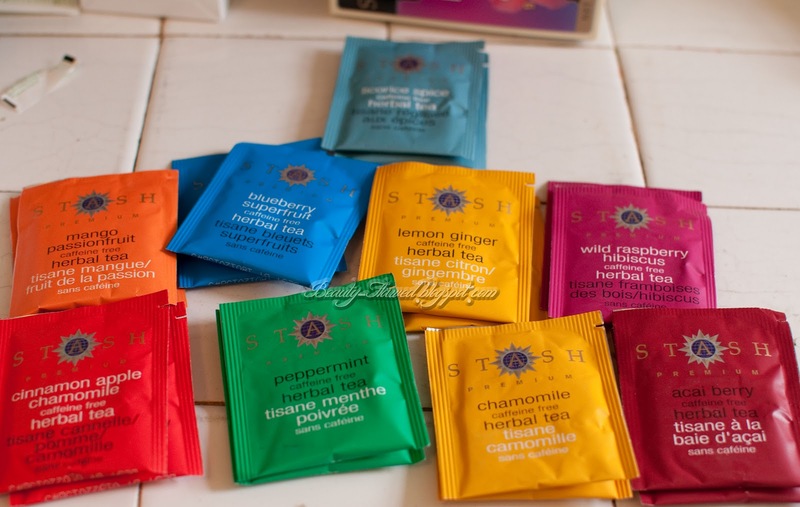 I would repurchase a few of these in the future I think the sampler is a great way to see which tea flavors you like and try out ones that you wouldn't normally purchase. 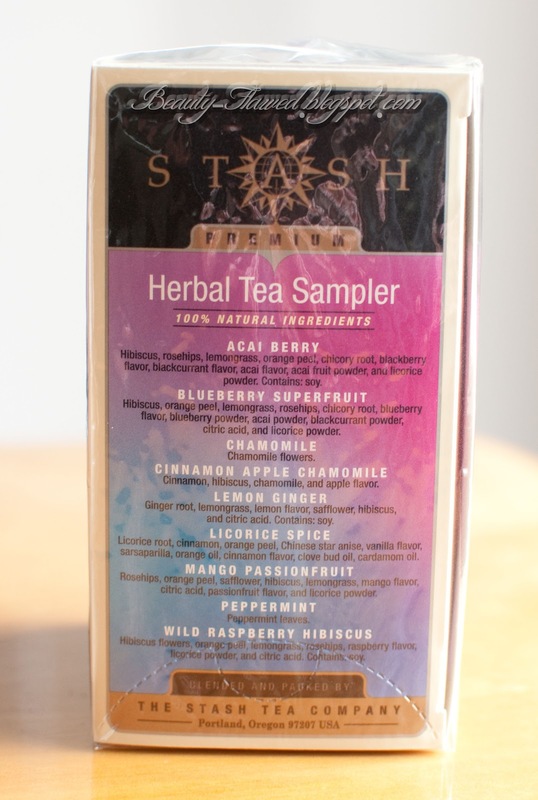 Stash teas are available at many local retails and online at Stash Tea. That sounds like some really good teas there. Yum! I love all kinds of tea! I love samplers they are a great way to try a bunch for cheap! I love tea. And i've had this brand before-- they're scrumptious! Oh noes! You should hurry I think the brand challenge stuff ends on March 31st.